Wind energy is nothing new; in fact, it’s actually making a come back. Experts believe that windmills were used 4,000 years ago for grinding grain and pumping water. In the 1800’s, approximately 500,000 windmills provided energy for Europe and China. 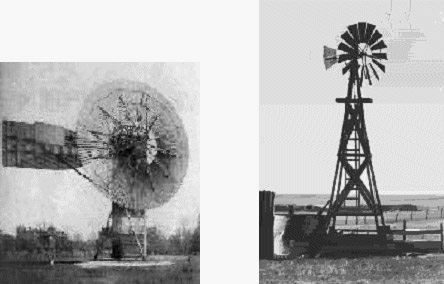 In the 1930’s, Americans depended on about 600,000 windmills in rural areas to provide electricity and water. Europeans never abandoned wind energy, with Germany as the industry leader. Wind power in Germany puts 64,000 people to work. New offshore wind development projects will soon create another 10,000 jobs. This all adds up to an economic base of $5.7 billion per year. Meanwhile, Denmark depends on wind for 20% of its electricity and wind turbines are their biggest export. In December of 2005, the American Wind Energy Association (AWEA) announced that the U.S. wind energy industry is expected to install about 2500 megawatts (MW) of new wind power each year in the coming years. One megawatt of wind energy can typically power up to 300 homes. AWEA expects the renewed interest in wind could bring the total wind energy generated in the U.S. to more than 10,000 MW, serving 2.4 million homes. Could you re-upload the file?